After Blading/Bicycling and Brunch we headed over to Dennis & Ellen's to see their beautiful garden and flowers. We weren't disappointed. The flowers and garden were beautiful. Many of the bladers/bicyclers came by while we were there so we managed to get some pictures of them besides the flowers. Best of all Sam and Dee were there. As you can see in the picture, Sam looks happy and well. She has a long way to go to be completely healed but so far so good. 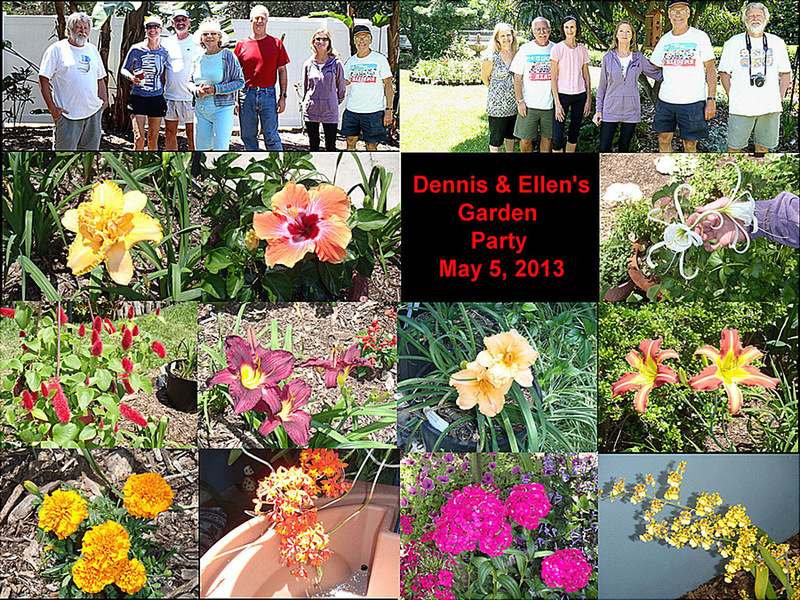 Thanks Dennis and Ellen for having the Bladers/Bicyclers over to see your beautiful gardens. You can come by my house any time you want and help me out with our flowers and garden.